Another Teal Tuesday! This one is all about my love for screenprints and one of my goals as a designer. I want to show you one of my favorite teal screenprints I have hanging in my office. I bought it from this amazing site for designers called Fab. They sell original art and I want to buy all of it! 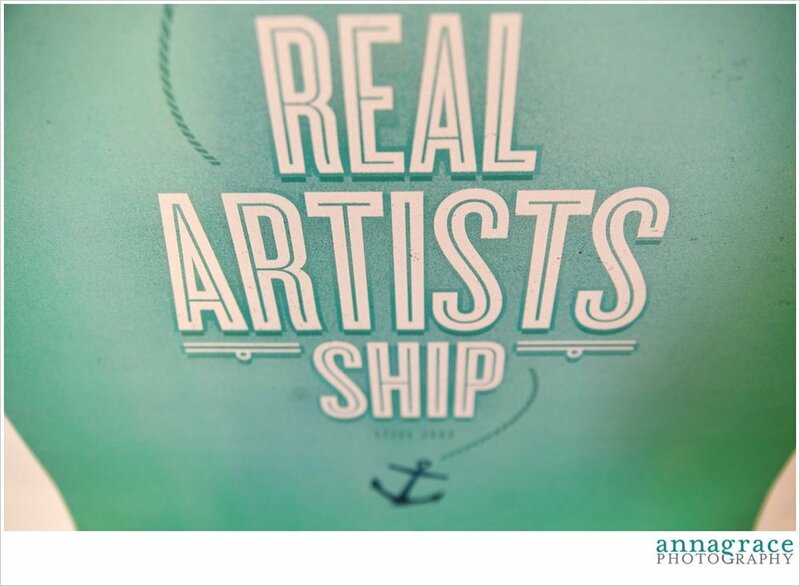 This particular poster has a Steve Jobs quote on it and says "Real Artists Ship". Not only is the poster beautiful with gorgeous type and graphics - but the quote is also very significant in my design life. "Steve Jobs not only revolutionized the way we communicate; for some, he also changed the way we think. Designed by Andrew Power for Busy Building Things, this art print features an excerpt from the tech pioneer’s gospel of business—a phrase he reportedly said prior to the release of the first Mac. His point? Art doesn’t exist in a vacuum, and products don’t make an impact until they get out of the lab and into people’s hands." This is my goal in my design job at Blue Ocean Ideas. I want to have an impact on the world by getting my art out the door for people to use and enjoy.